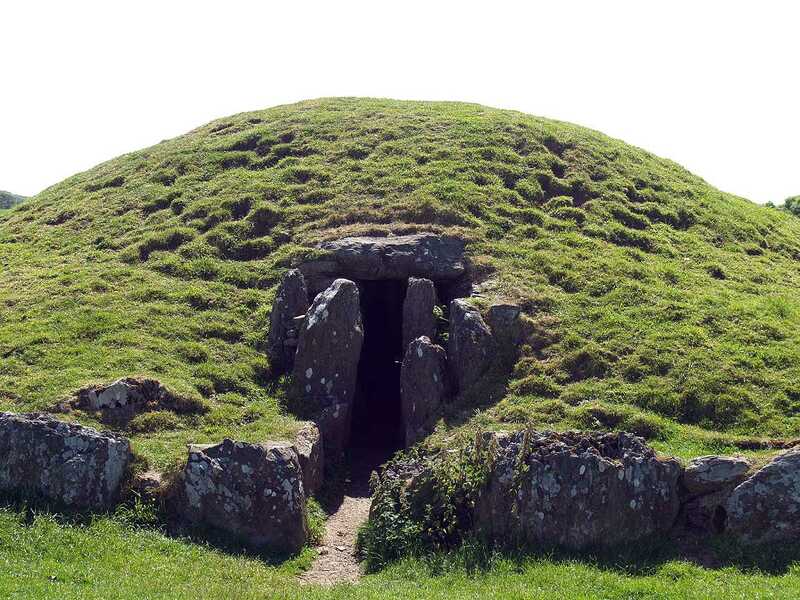 Bryn Celli Ddu Burial Chamber - an ancient monument on Anglesey. 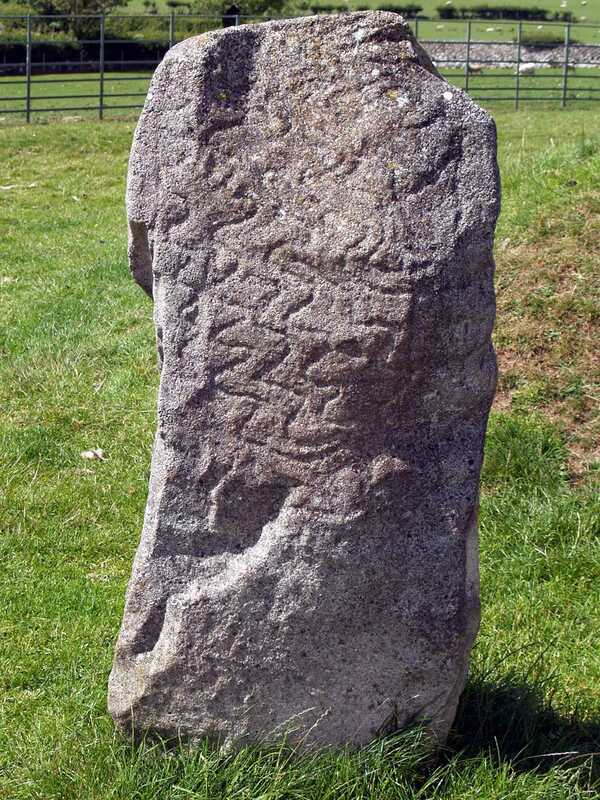 Close to the village of Llanddaniel Fab. 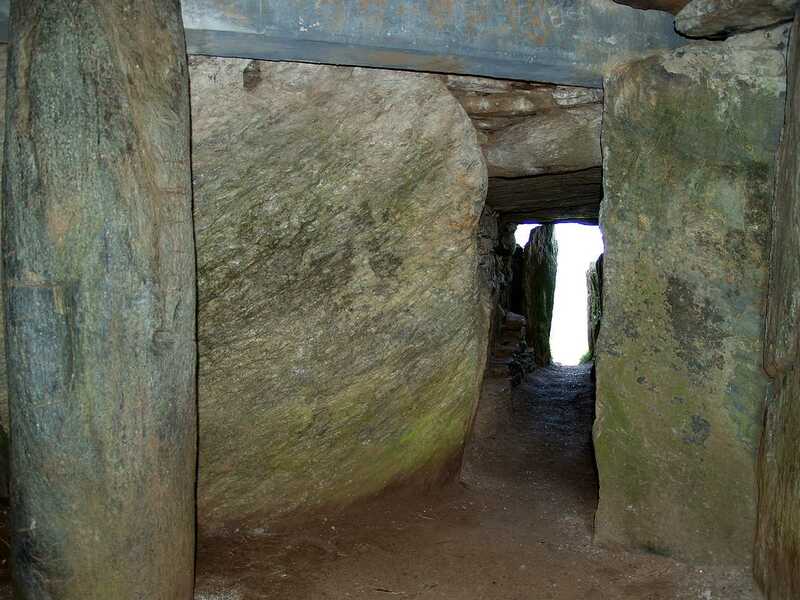 This burial chamber is deservedly one of Anglesey's most important ancient monuments, and dates from circa 3000 years BC. 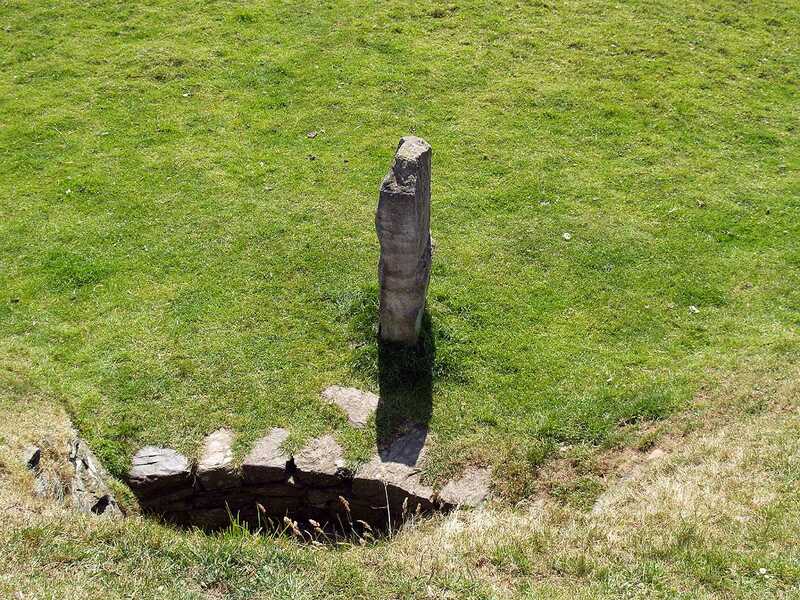 A spiral inscription on one of the stones to the back of the mound is probably of Celtic origin. 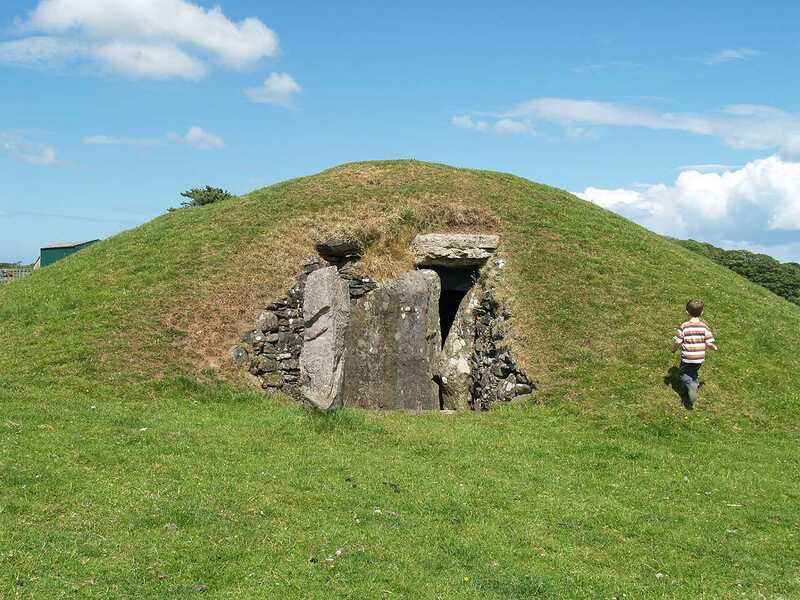 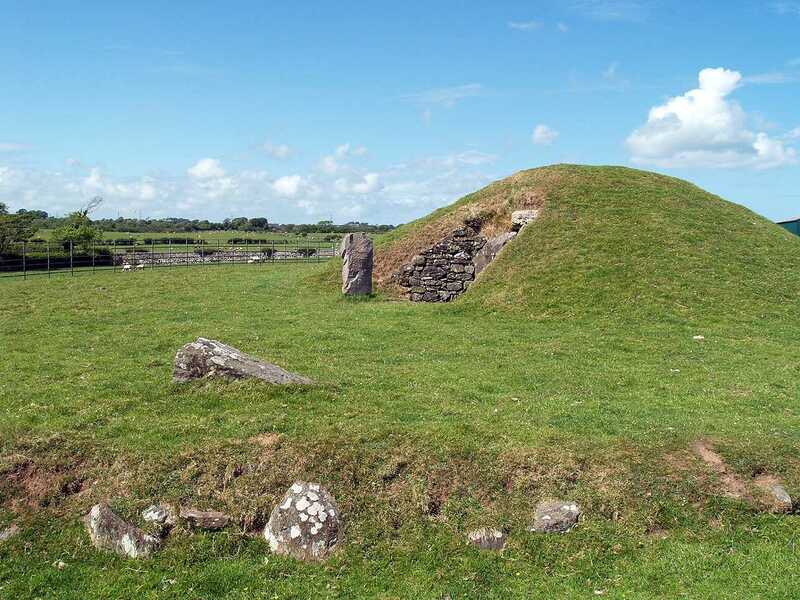 One of Anglesey's best preserved ancient monuments, and certainly one of the most interesting, it has everything, standing stones, a henge, an inscribed stone, a mound, and an accessible burial chamber. 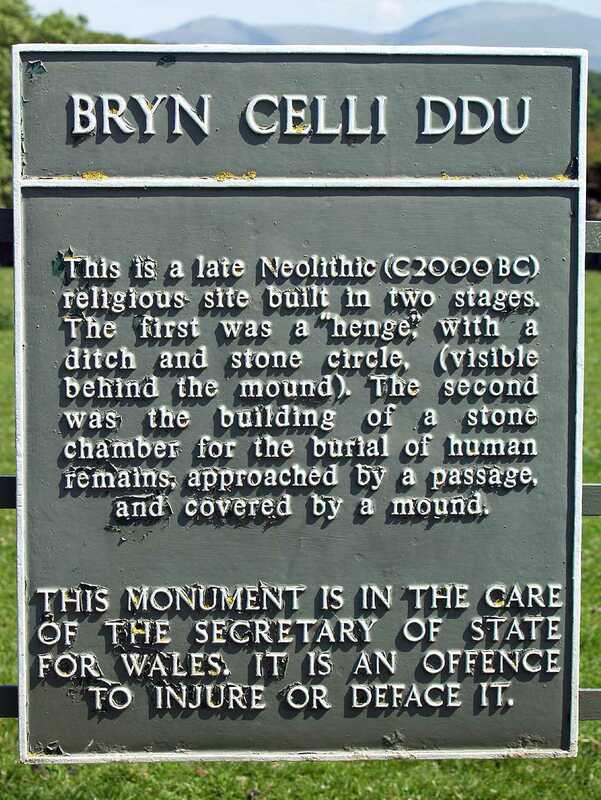 If you visit just one of Anglesey's monuments, I would suggest you make it this one. 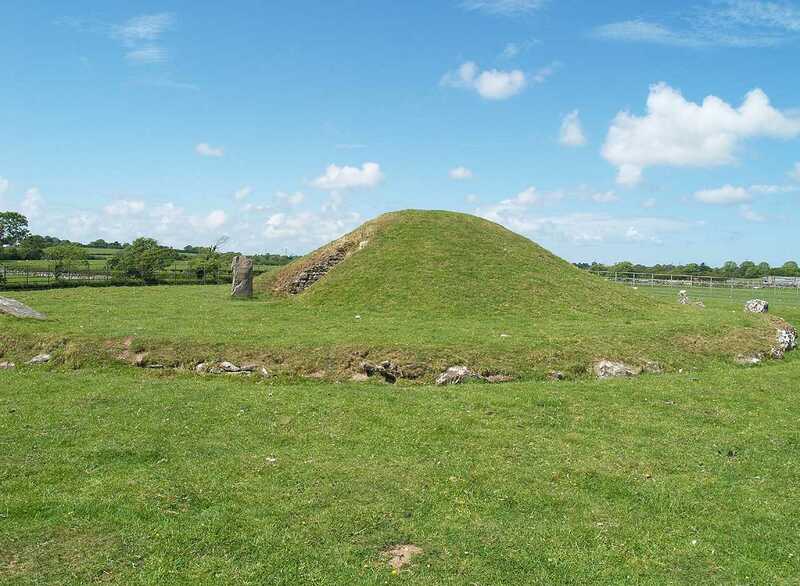 Originally designed and built as a circle henge with a diameter of fifty seven feet, in the late Neolithic period this was destroyed by the building of the present burial chamber. 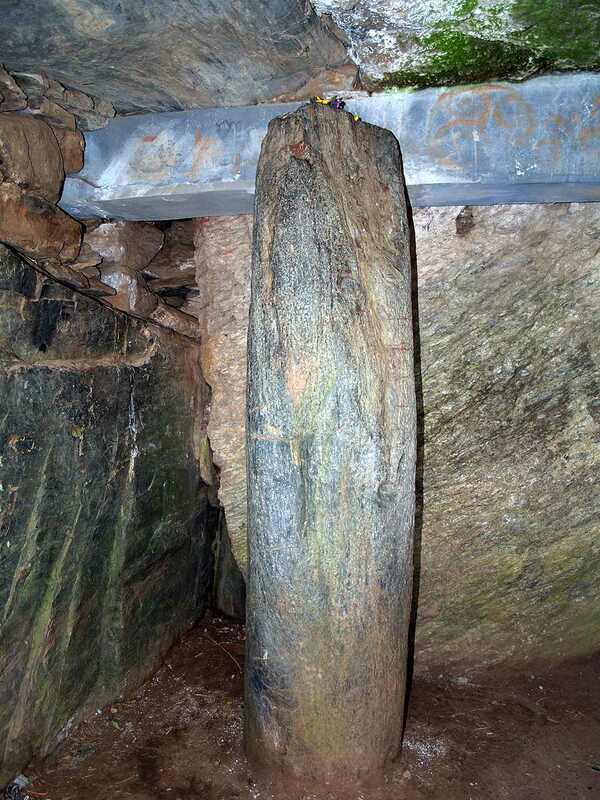 Possibly suggestive of two early different religious cultures. 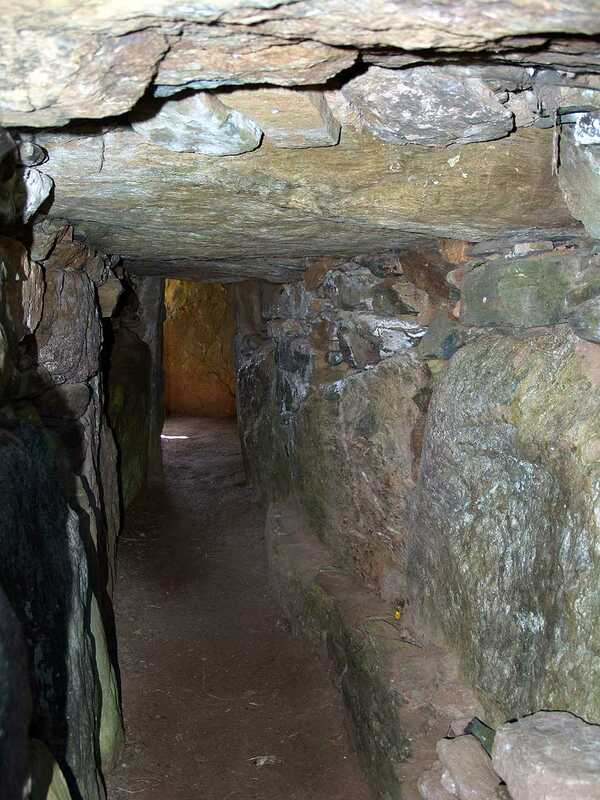 It has a passage of over 25 feet, leading into the actual burial chamber. 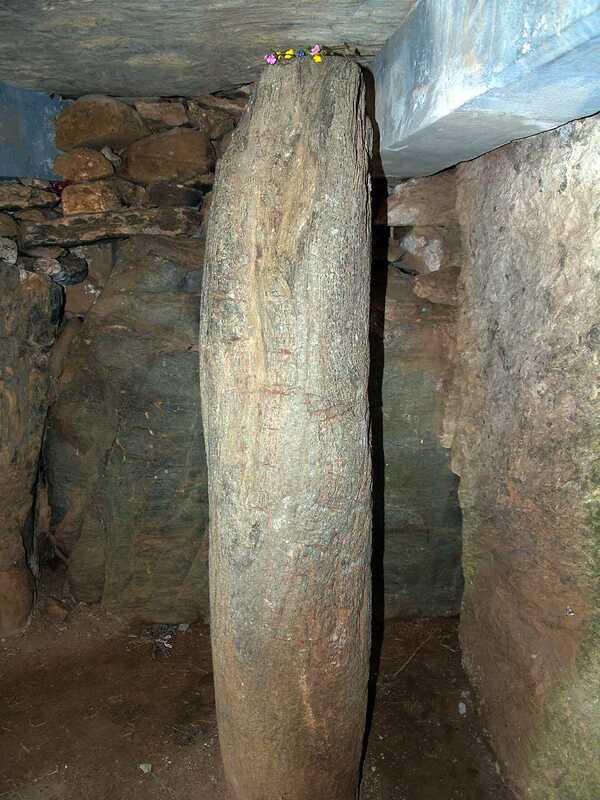 Inside you come across a free standing stone pillar. 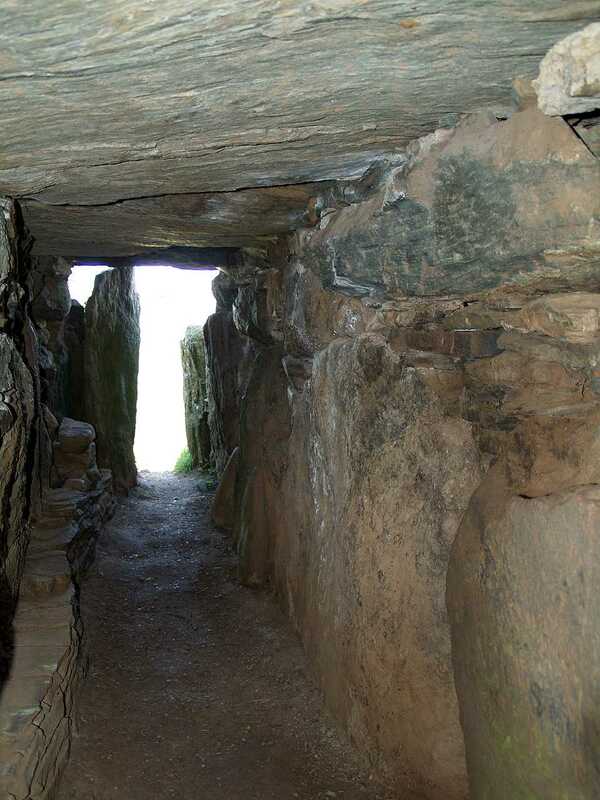 The site was excavated and repaired in four years, starting in 1927.